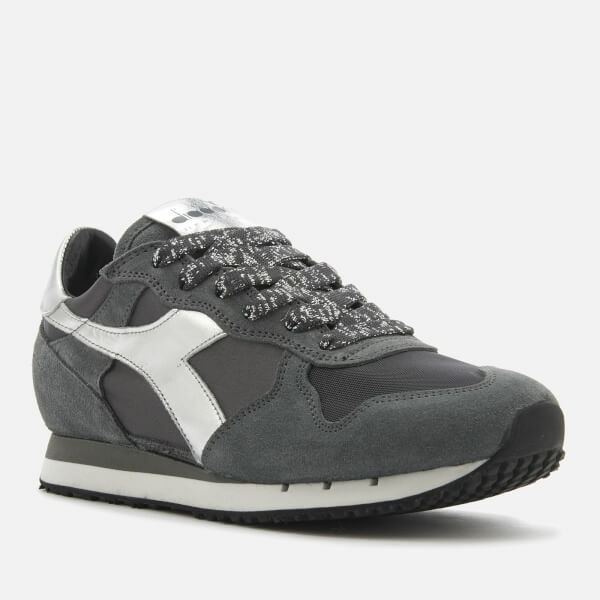 Women’s ‘Trident’ trainers from Italian sportswear label, Diadora. 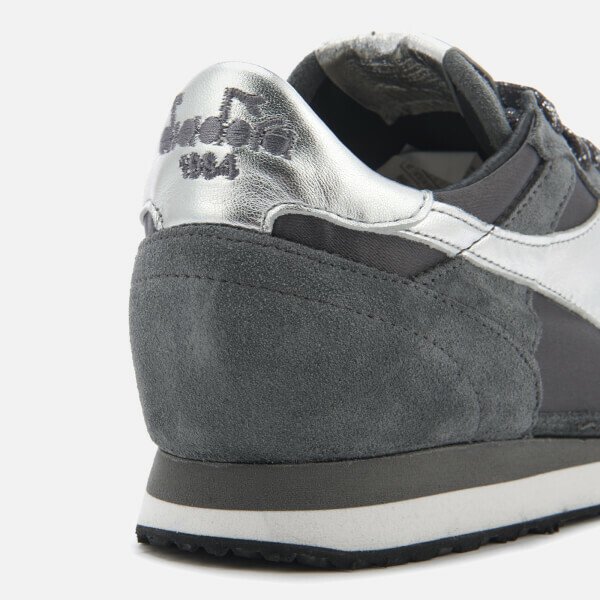 Crafted with satin and suede uppers, the retro running trainers are designed with a nylon and suede upper, a woven mesh toe for increased breathability and the signature Diadora logo in metallic silver fabric to the sides. 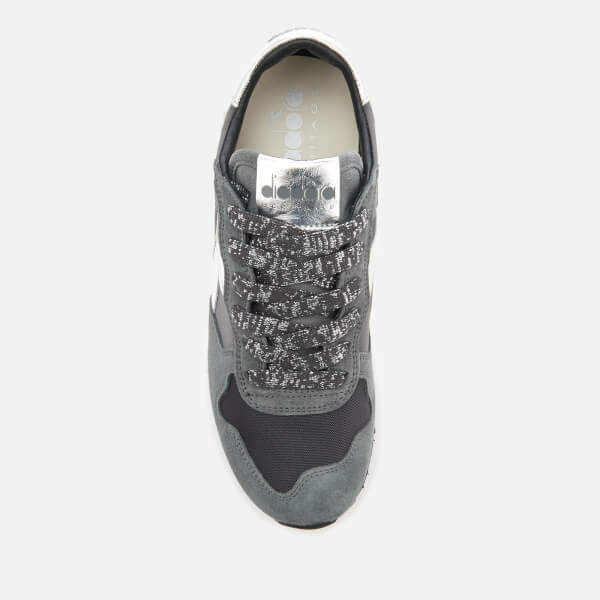 The retro sneakers are detailed with a chunky, metallic lace fastening. 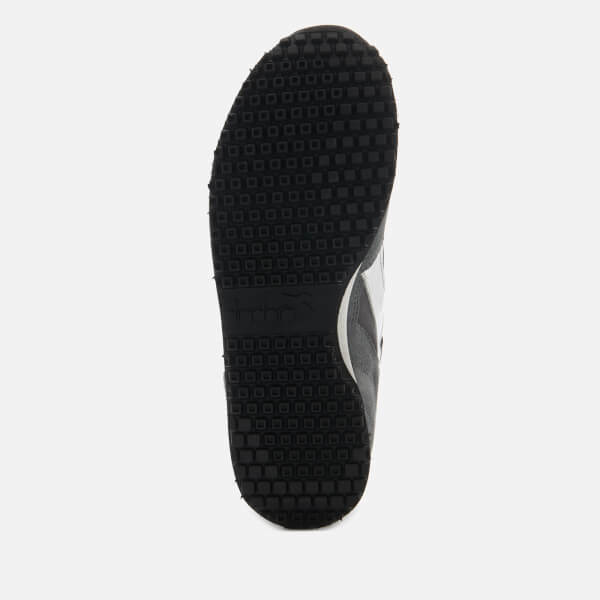 Set on a cushioned white and grey EVA midsole, the trainers feature a textured rubber outsole for added traction. 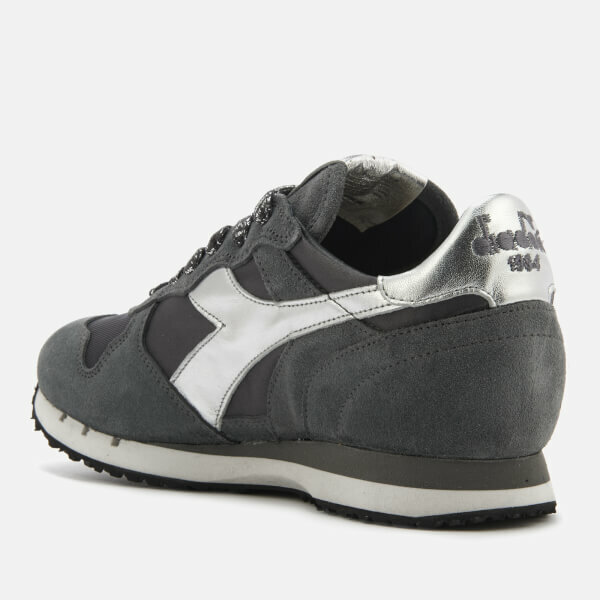 Complete with a leather insole and Diadora branding to the heel and tongue. Upper: Satin/Suede. Insole: Leather. Midsole: EVA. Sole: Rubber.